In the spring of 1995, a car bomb pulverized the Alfred P. Murrah Federal Building in downtown Oklahoma City, killing 168 people, including 19 children who were inside the government facility’s daycare center. In the immediate aftermath, “Middle Eastern” terrorism was suspected, but Dallas Morning News reporter Lee Hancock quickly realized it was something else. Writer-director Barak Goodman uses that anecdote as part of the inspiration for his sobering film, which connects the Oklahoma City bombing, masterminded by former U.S. soldier Timothy McVeigh, to a series of earlier homegrown incidents that fueled so-called patriots like him to act. Two incidents in particular are emphasized. The first is the 1992 standoff between the FBI and a white separatist named Randy Weaver, who lived with his family in a remote mountain area of Idaho named Ruby Ridge. A shootout between the Weavers and law enforcement left three dead, including Weaver’s wife and son. The second, on April 19, 1993, occurred in Waco, Texas, where self-proclaimed prophet David Koresh held sway over a sect of Branch Davidians. An escalation of tensions between the sect and the ATF and FBI ended in tragedy: Koresh and his followers committed mass suicide, resulting in 76 deaths. Oklahoma City articulates why these deadly standoffs inflamed the anti-government movement, which criticized federal authorities for mishandling the situations and whose members were motivated by them to carry out domestic terror. The film succinctly argues that to understand the impetus behind what McVeigh did — and why other such individuals might do something similar — we need to see them as part of a larger, ongoing siege perpetuated by small groups of radicalized Americans at war with the country’s power elite. To get a better sense of this clear and present threat, MEL spoke with Goodman about what drove him to make the film and how his research started to dovetail uncomfortably with the rise of Donald Trump’s presidential prospects. But don’t expect Goodman to categorize the anti-government movement as uniformly racist — as he tells MEL, “It’s very hard to put your finger on what they believe and what unites them.” It’s an unpredictability that, in some ways, makes their motives even more upsetting and unknowable. 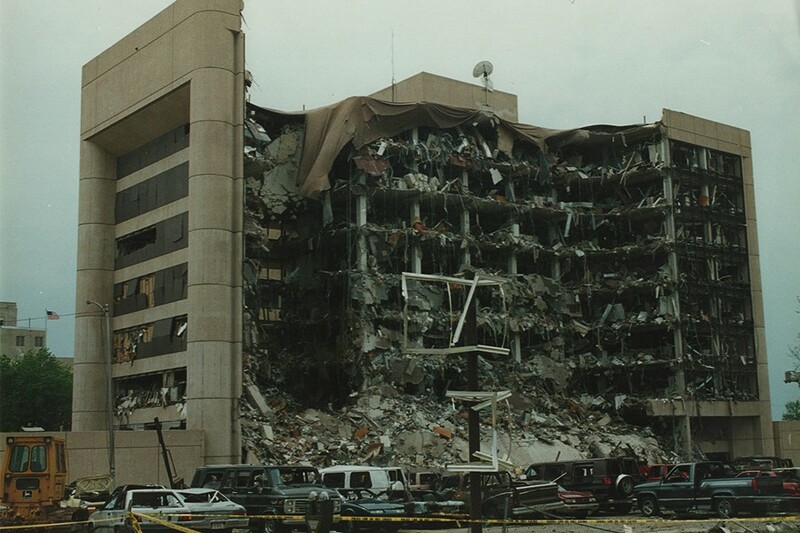 There are plenty of reasons to make a film about the Oklahoma City bombing. But what drew you to it? Oklahoma City connects McVeigh’s actions to the U.S. government’s earlier standoffs in Ruby Ridge and Waco. When you started, were the dots already connected in your mind? Or was making the film the process of connecting those dots? Totally the latter. I mean, we have this graphic — it’s a bit of a cliché, but we have this conspiracy board that we come back to in the film over and over again. And it really recapitulates my own journey of connecting these events as I went through the process of making the film. We knew we wanted to look at the foundations of this movement in the Order, Aryan Nations and then in the Ruby Ridge story and the Waco story. But exactly how those things related to each other and related back to McVeigh was something I didn’t know anything about and only discovered in the process of researching the film. And yet those connections were totally solid. It was one of those rare things that unfolded naturally — there wasn’t any strain of attaching one to the other. It just fell into place. You said Oklahoma City wasn’t inspired by the current political landscape. So when did you start work on it? Well, it began probably about two years ago. But as we started to make the film, it felt like it was becoming more and more relevant. Not so much because of Trump personally — I don’t think he’s a white supremacist — but something about his candidacy and the [presidential] race emboldened some of these characters to come out of the woodwork and begin to appear again and begin to be much more outspoken. It was a chilling thing: We were sitting here examining the violence and the damage that this radical right movement caused in the early- and mid-1990s, and here are some of the same characters reappearing. What’s especially valuable in the film is the reminder that the different people portrayed didn’t share the same ideology or prejudices. They’re not all cookie-cutter racists. It’s very important to understand and recognize that we aren’t saying that the Weaver family [at Ruby Ridge] nor the Branch Davidians were themselves members of this white-supremacist, radical-right, anti-government movement. It was really the way in which that movement adopted or exploited these events to grow and to propagandize. Yes, the Weavers were white separatists, but we make very clear that they weren’t dyed-in-the-wool members of the Aryan Nations — they’re glancingly related at best. And the Branch Davidians weren’t white supremacists at all. They did have a strong interest in guns and a strong antipathy and suspicion of the government, but they were anything but white supremacists — more than half of them were people of color. So it’s not the Branch Davidians themselves — it was the Waco standoff that became a sort of proof [to the movement] of their own deep suspicions of the federal government’s willingness to attack its own citizens. And of course, McVeigh personally makes a pilgrimage [to Waco], and he adopts this standoff as his call to arms. The media seems to be grappling with who “the Trump voter” is. Making Oklahoma City, did you think about the labels we’re trying to assign different types of groups that supported Trump? It’s really dangerous to lump — that’s one of the takeaways of the film. Even this so-called “movement” — we use the word “movement,” but it’s a very diffuse movement — it’s very hard to put your finger on what they believe and what unites them. On the one hand, you have people who are passionate gun-rights advocates who view any abridgment of their rights as not only illegal but as an existential threat. On the other, you have dyed-in-the-wool white supremacists who believe in a white homeland and who believe that people of color and Jews are completely inferior and must be eradicated. So you have this continuum. But what seemed to unite them — and what made it a movement in my mind — was the fact that they hated the federal government so much. They vested the federal government with all the evil in the world. One of the dangers here is the danger of conspiracy thinking — of seeing someone who is different than you as much bigger and much more threatening than they really are. And I think we’re seeing a lot of that going on right now — not only on the far right toward the rest of the country, but even the law enforcement toward the far right. In Ruby Ridge, you had law enforcement exaggerating greatly the threat posed by this small family. We’re seeing a lot of that kind of conspiracy thinking on the left and on the right toward each other. There’s a lack of understanding, a lack of conversation and a lack of empathy. But that question of empathy is part of the struggle right now. Some would say, “We need to reach out to understand why racists have these views,” while others would say, “What’s there to learn? They’re racists; they can’t be redeemed.” Do you think we can reach them? Or do we just abandon hope of ever connecting with them? It’s very important, first of all, to differentiate the mainstream Trump voter from the people we’re talking about — we don’t want to commit the same lumping process. The vast majority of Trump voters would condemn these views as much as the left would. That said, there’s no doubt that there’s a faction of extremist, racist folks out there — not tiny — who have embraced the Trump presidency. Can we reach them? I’ve grappled with that. 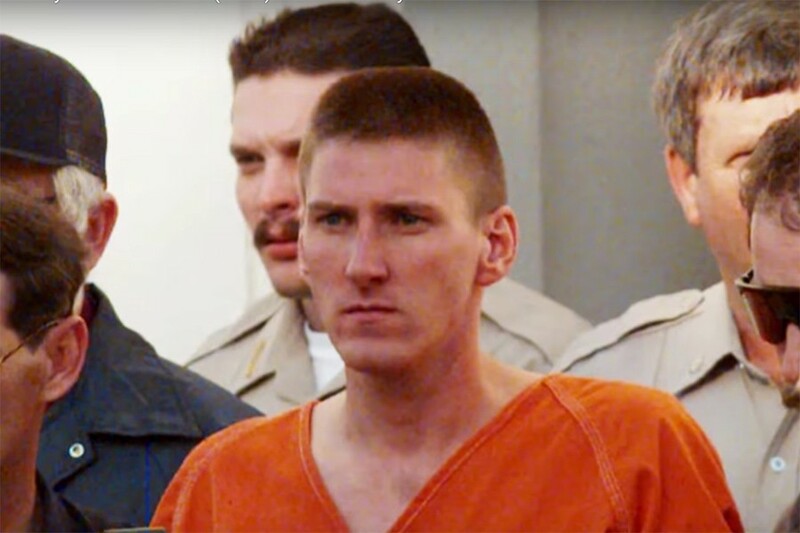 Would Timothy McVeigh have gone a different way had he been exposed to different ideas? Well, he wasn’t exposed to those [different] ideas; he was completely in a bubble of his own making. He surrounded himself on the gun-show circuit with other people that thought like he did. Sure, one would hope that if he’d had a wider circle of acquaintances and friends in his life, he wouldn’t have believed [violence] was his only option. But on the other hand, I’m not naïve enough to think you can sit down and convince someone to drop these deeply, deeply held views. These views are so deeply rooted that they go all the way back to the founding of the Republic. You see this movement wax and wane, but it constantly reappears, and it’s marked by these passionate feelings of hatred of the government and of minorities. I don’t think those views are easily swayed or changed. Really, the best hope is to contain those violent tendencies — to somehow rope [these people] off and make sure they aren’t directed toward terrorist acts. In this country, we don’t like to have a national conversation about the fact that these terrorists are homegrown. Yet it seems incredibly dangerous to me to dismiss someone like McVeigh as just a weirdo. I’m absolutely with you on that. I think that maybe the most important takeaway of the film is that guys like McVeigh or Dylann Roof come from somewhere. They don’t just parachute in from outer space — they’re grounded in a worldview and in a set of grievances and a set of ideas that are very widespread, very developed and have a very old history. It’s a terrible mistake to dismiss them as one-off exceptions — and what’s interesting is that we don’t do that with Islamic terrorism. In fact, we do the opposite. Something like the Orlando shooting happens and it ends up being a guy who grew up in the United States — we’re very willing to immediately connect it to ISIS and to this vast worldwide terrorist network. But when it happens in the U.S., we forget that there is a very parallel, similar movement and terrorist network. I mean, the radicalization of McVeigh doesn’t look a whole lot different from the radicalization of any one of these domestic, Islamic-based terrorists. Terrorism is terrorism, and whatever color skin it is, it follows the same kind of steps and stages. I will say that law enforcement is well aware of this. The FBI, I think, is as focused or nearly so on the domestic side — they understand the threat, especially since Oklahoma City. Still, we’re more comfortable envisioning a terrorist as a brown-skinned person from the Middle East. For many white Americans, McVeigh looks enough like “us” that we don’t suspect him. So how do we infiltrate these groups, and how do we know who the people are that have been radicalized? Of course, we’re not saying that Timothy McVeigh or Dylann Roof or anybody else read this pamphlet and were directly inspired by it. But it’s true that this movement understood that this was going to be the way to attack the federal government. It’s going to come from individuals who weren’t part of groups that could be infiltrated or taken down. So, [the Oklahoma City bombing] happened exactly as they predicted, and I think it’s still happening. These ISIS-inspired domestic terrorists aren’t in these foreign countries going to paramilitary camps or anything like that — they’re simply reading online propaganda. When there are mass shootings, gun-rights advocates will argue that some deranged people just want to do bad things. Is there something inherently imbalanced about a guy like McVeigh that makes him more likely to be radicalized? Why does McVeigh do it? That’s a question the FBI has spent millions of dollars trying to crack. I think that there are certain things that you can see in McVeigh’s life that are clearly warning signs — his isolation and his estrangement from his family. The difference between how he saw himself as a big, important figure and the pathetic smallness of his life was an incendiary part of this. But none of that’s satisfying. It’s hard to know why this person can become a homicidal maniac and that person isn’t, and what tips somebody over the edge. All we can do is look at the facts of his life and connect them. Certainly in McVeigh’s case, it was a combination of internal psychological things and external factors — Ruby Ridge, Waco, the Brady Bill — these aggravating moments that kicked him from a generic hater into someone who was going to take action. This hatred and mistrust of the government — how much of that stems from people who are just unhappy about their lives trying to find an external target to blame for their problems? In part, but I don’t think that’s a sufficient explanation. I do think McVeigh had a rare but extremely passionate relationship with guns, and therefore, he viewed any incursion on his God-given rights as a gun owner as more than just an objectionable policy. He saw it as a kind of warlike attack. He felt like he was a soldier in a war fighting an evil enemy, the federal government. 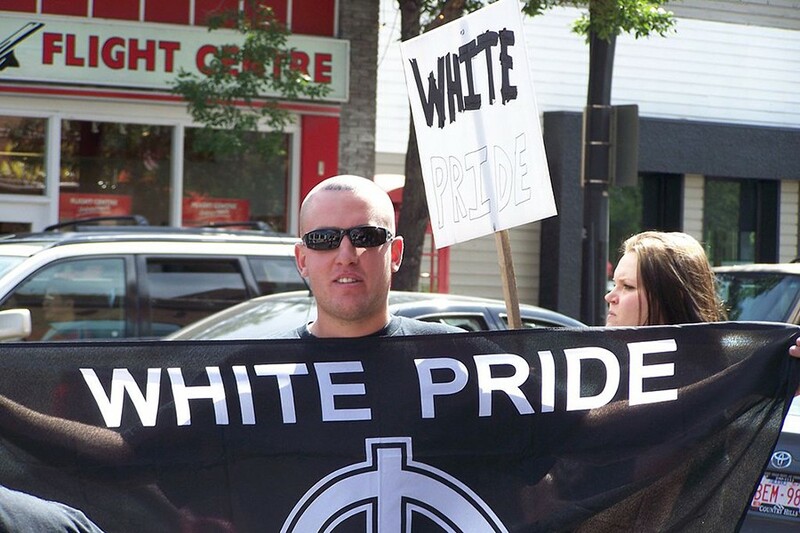 Neo-Nazi group stages a counter-protest at an anti-racism rally. Image Via Thivierr. The other scary thing was how relatively easy [McVeigh’s attack] was. It cost about $6,000. He read how to do it in a book. He was a bright guy, but nothing more than that. And yet, he could inflict this kind of damage. So it’s chilling to think about: How you do find these people, and how do you stop them? While making Oklahoma City, how did you feel about McVeigh? There are elements of his life that are sad — for instance, how he was bullied as a kid. Yeah, but I was unable to find any real empathy in myself for him — partly because he had so little remorse or empathy for the people that he killed. There’s 60 hours of tape-recorded jailhouse interviews with him from death row done by two Buffalo News reporters. I was able to listen to it, and the takeaway is of a person who had absolutely no compunction and no remorse — even while claiming he didn’t understand that there were children in the building, which is questionable. He still shows no remorse for it — in fact, he calls them collateral damage, and he tells the parents to get over it. So once you hear that, it’s hard to find empathy for his childhood. Lots of people come from broken homes, lots of people have tough upbringings — they don’t bomb buildings. What’s also striking is that McVeigh hoped that his bombing was going to be the beginning of a whole wave of homegrown attacks. McVeigh believed this was the first blow in the second American Revolution, and he was bitterly disappointed when his comrades in the movement didn’t follow his lead. What ended up happening was that the initial reaction from the militia movement was to accuse the government of perpetrating the bombing as a way of gaining sympathy. But when the country didn’t buy that — and when law enforcement started going after them — they quickly receded into the woodwork. 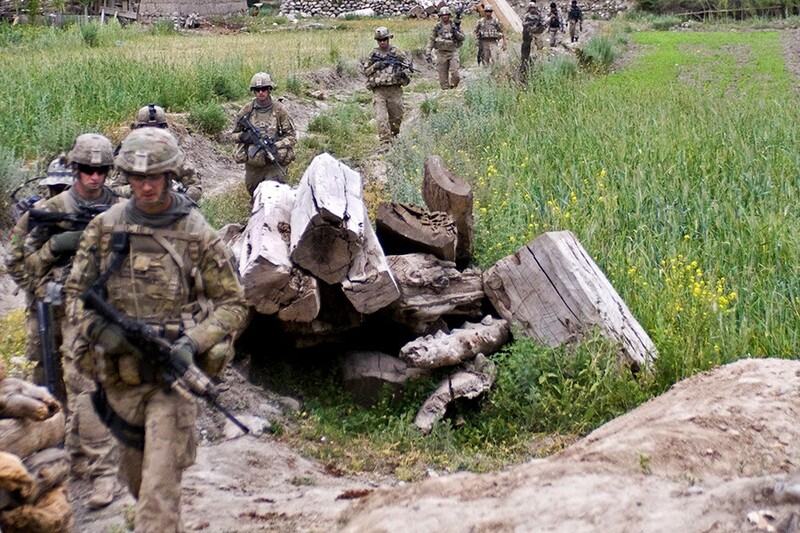 A lot of these militia groups fell apart, and there was a period of entrenchment and going underground. I think that, now, that has begun to reverse itself. We can fear — I think more realistically — another such attack in the future by one of these groups or individuals. It’s hard to know obviously; it’s hard to predict. But you do get the sense that there’s more activity in that sphere than there was since Oklahoma City. I wonder if we’ve forgotten the Oklahoma City bombing a bit. It wasn’t as devastating as 9/11 — and, again, it happened from within, rather than from the outside. We’re all too willing to invest in this entity called ISIS and Al Qaeda — which itself can be quite diffuse and disorganized — with [an inflated notion of] “evil plans” and “[they’re a] sophisticated organization.” But when it comes to our own domestic-terror groups, we tend to ignore them and believe that these attacks are one-offs by insane individuals. It’s hard to get our arms around the idea that people who live among us, look like us and supposedly share our national values could do something like this. But the evidence proves the opposite — it proves that they can, and do, and have, and will in the future.